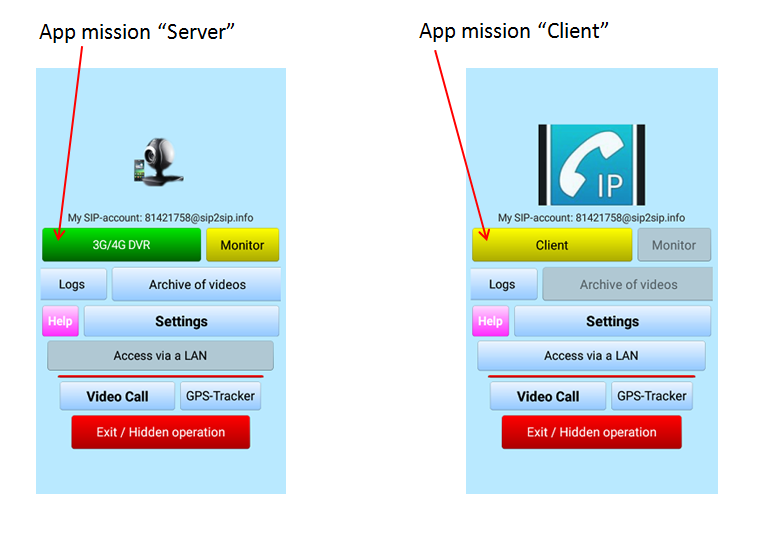 Server As a server for video surveillance. It is the main mission of the app. Accordingly, you can install some copies of the same program RealVisor on several smartphones / tablets. One of them will perform the operation of video surveillance (server), and other gadgets will act as clients of this server. The operation of the RealVisor program in the role of Client does not require obtaining payed license to use the program.